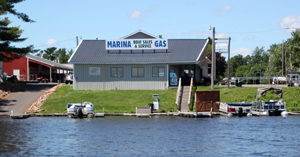 For those who are looking for a new dock system or a lift for your boat or pontoon, Lake Country Marina offers you the complete line of ShoreMaster and Shoreline docks and lifts. These lightweight aluminum systems are made to fit almost any budget and will be very appealing along your shoreline. We also carry the Ryco A-5000 Series aluminum docks. If you need a floating system, we offer the PolyDock floating dock systems along with their ShorePort dock system for your PWC. Compare the Shoreline Industries truss style dock system to any other value competitor dock in its class. You'll find the fully welded construction, stability, and classic truss style of the Shoreline truss style dock make it one of the most affordable truss style dock choices available for your waterfront property. 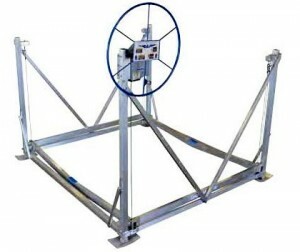 Both wheel-in and sectional style truss docks are available from Shoreline Industries. Converting an existing Shoreline Industries sectional dock to a wheel-in, or wheel-in to a sectional is extremely simple. A new dock truss style dock system from Shoreline Industries will save you money on the initial purchase of the dock, and you'll continue to save money throughout your ownership because of its strength, and its solid welded aluminum construction. WHY CHOOSE A SHORELINE TRUSS STYLE DOCK? Both the rail style and truss style Shoreline Dock frames are incredibly lightweight which makes installation and removal quick and easy to save you time. The dock frame connectors and the leg pockets are integrated to save you money and make assembly quick and easy. Shoreline Industries dock frames are completely welded to provide more strength and durability than a bolt-together dock frame. 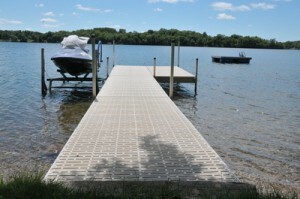 Aluminum leg posts and foot pads provide stability and add to the durability of the dock system and aluminum will not rot or corrode. Quickly and easily adjust the dock height by loosening the set bolts at the leg pocket, make your adjustment, then re-tighten set bolts. 4' x 10' frames are the perfect size for easy installation and removal because they are light enough to be handled by the do-it-yourselfer. 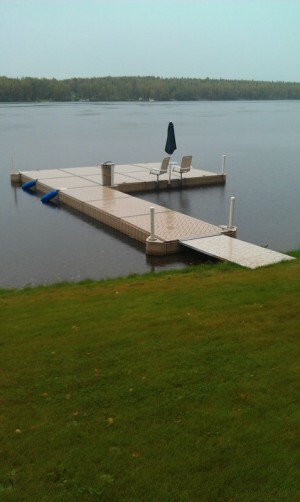 Shoreline Docks can be configured as either a wheel-in dock or a sectional dock to fit your needs and your shoreline. Create your perfect water's edge experience with the most user-friendly dock system on the market. ShoreMaster dock systems provide exceptional stability and versatile configuration options, plus features like 5-sided dock legs, QuickConnect™ and welded frames. They’re the perfect customizable solution for your waterfront and are available as standing docks, wheel-in docks and floating docks. The aluminum construction allows for easier installation and removal from the water as well. Vertical boat lifts can accommodate any style of boat or pontoon hull and the ShoreMaster double v-side design provides easy access from either side of the lift. A vertical boat lift is a versatile option that will pay dividends for years to come. These lifts have a welded construction that provides for superior durability over bolt together lifts, making for easier assembly and installation. The Whisper WinchTM offers quiet operation with amazing reliability and ease of lifting. The frame supporting your boat has 66” of lift travel offering you easy, convenient operation in changing water conditions. ShorePort drive-on personal watercraft storage platforms are built to get you on and off of the water faster. ShorePort is the quickest and most convenient way to place your personal watercraft at your dock and keep it out of the water when resting. 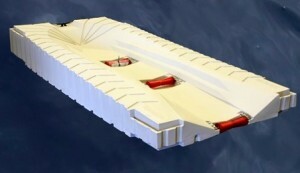 There are three polyethylene rollers that allow you easily drive on, and when you are ready to continue the ride, simply push it off to launch. ShorePort is a rotationally molded product meaning it will require little to no maintenance and its deep textured surface allows the water to drain back into the lake. This system can either attach to your existing dock or it can be used as a free-standing unit. PolyDock is a modular, rotationally molded polyethylene floating dock system designed to look great at your shoreline and provide you with exceptional value for many years. The recessed areas on the bottom of each PolyDock section help to provide stability between the dock and the surface of the water. This means less movement as you walk the length and width of your dock. PolyDock is designed to feel firm underfoot along the length and width of its slip-resistant brick patterned surface.